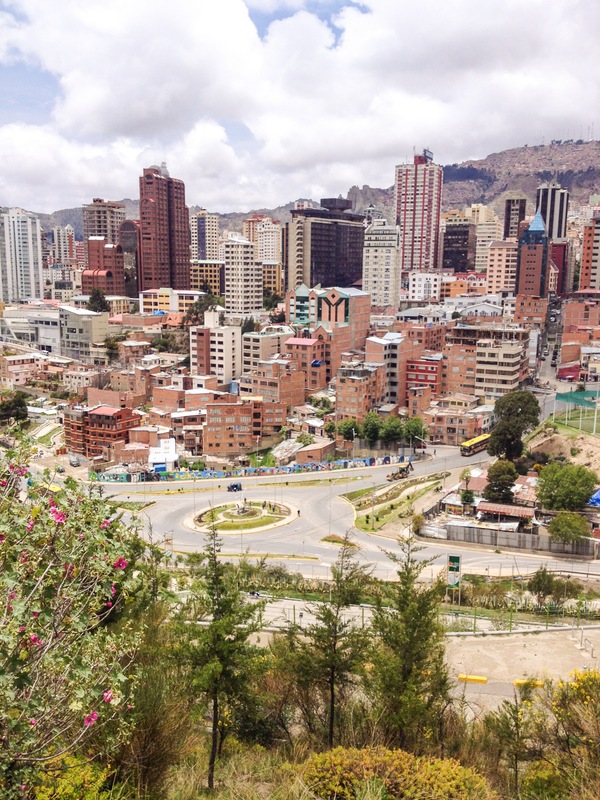 Is La Paz Worth It? 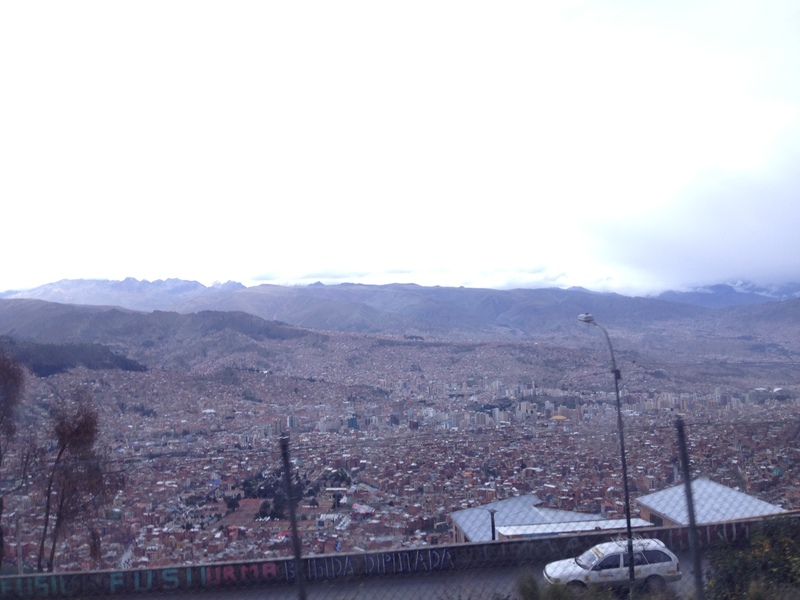 My first view of La Paz as I arrived by bus wasn’t so pretty. Ok, I’m gonna cut to the chase and just say that La Paz does merit a day or two because I don’t like to completely write anyplace off. However, I don’t think you need to linger in La Paz. If you need to fly in or out of Bolivia the La Paz airport is a fine place to do it. You can stay the night, spend a full day there, and leave that very next night. I’ve been traveling around for a little while now so I know what I tend to look for in a place: yummy local food, nice museums, great salsa dancing, good outdoor markets, and wonderful architecture. I knew that when I was planning my trip that not many of these things popped up on my searches. I went anyway. 1. Teleferico (AKA Cable Car)- I took the teleferico up to the top of the city (called El Alto). I saw the facade of a cool looking church and bought some fresh figs up there. 2. 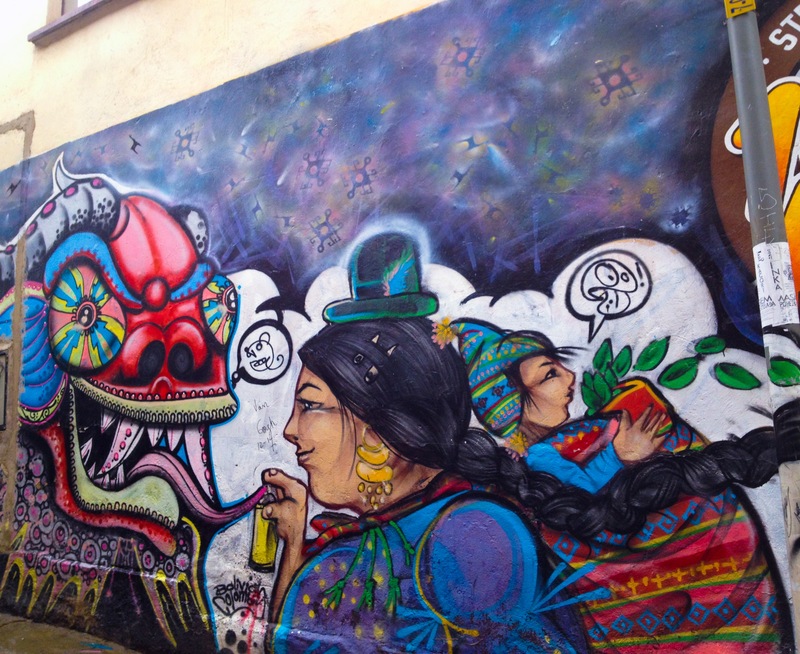 Graffiti– While I was walking around La Paz, my favorite thing to do was to look at the graffiti everywhere. 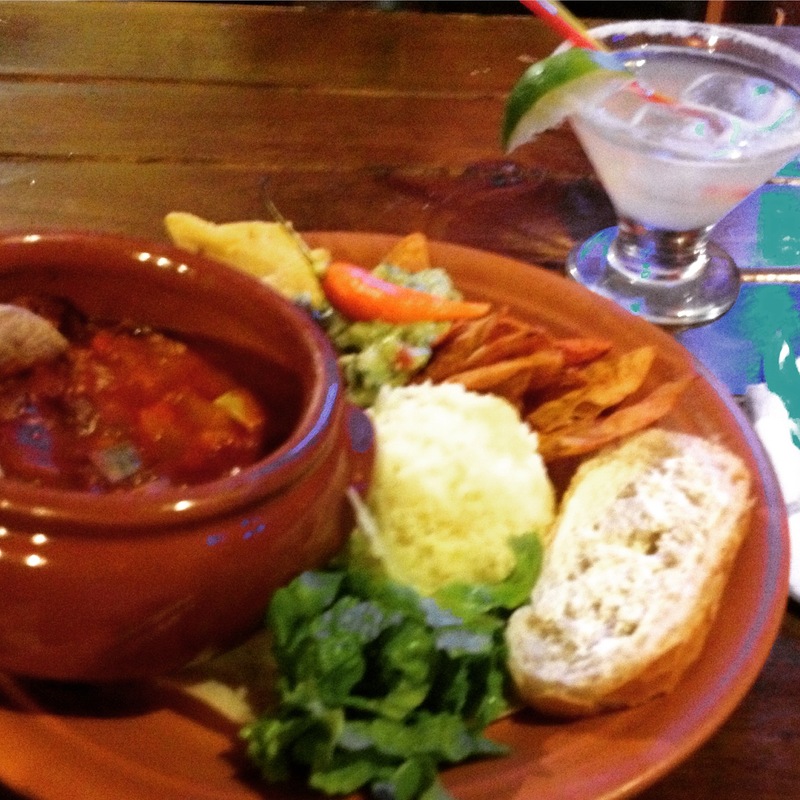 3. International food– the “Bolivian food” I tried was mostly rice, bread, and coca tea (one time I had some good peanut soup though) and considering that I try to not eat rice nor bread AND I needed a good internet connection, I went to this place called “The Four Corners” to eat. There was Italian, Mexican, British, and Dutch food all at this one intersection (and a good vegetarian place with a mix of dishes). These restaurants were the only places with fast internet that I found in all of La Paz. 4. 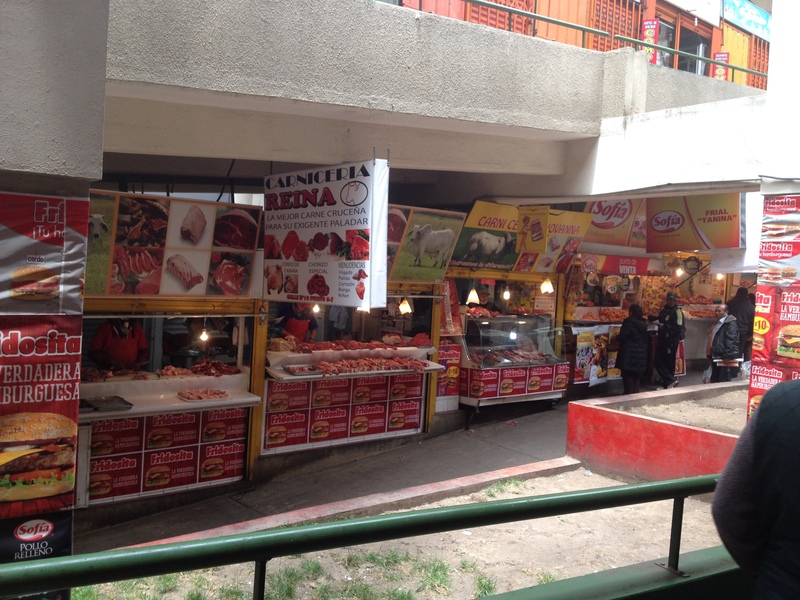 Mercado Lanza– Does it measure up to the amazing markets in China and Mexico that I’ve been to? No. However, you can find a TON of stuff in this market, and when you are a girl living in Venezuela where everything is so hard to find, it was a little piece of heaven. Well, except that it was mostly closed whenever I went through on most days. I was able to buy ramen, fruit, eggs, whiskey, shaving cream, shampoo, and fingernail clippers! 5. The random street market– On NYE some people from the hostel and I went up the teleferico and on the way we saw a random street market blocking several streets. I asked a local in the car why there was a market blocking all of the streets and he said that it was only there for NYE so that people could buy cheap stuff. So my hostel friends and I stopped there on the way back. I bought some cheap chia seeds, freshly squeezed orange juice, and red underwear (for a local NYE tradition). 6. Safety– I never felt unsafe. Arriving and departing at odd hours wasn’t scary. Many people were out on the streets walking around at all hours. There wasn’t any particular place I wanted to go to at night, but it is nice being able to walk around safely. 1. The (free) Red Hat Walking Tour– They stopped running before I got there. Apparently the tour agencies with paid tours threatened them so they stopped the free tours and disappeared. So tons of people showed up at the meeting point but nobody was there to lead us. Boo! 2. 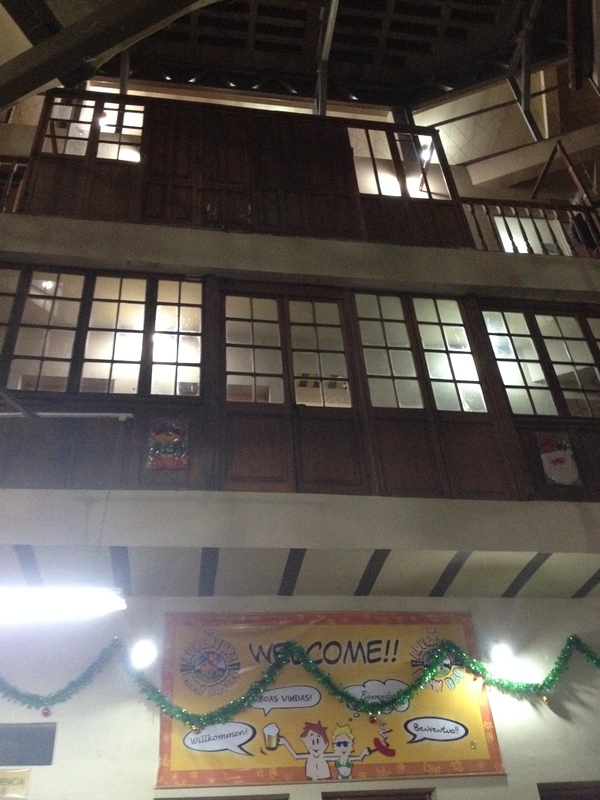 Adventure Brew Hostel– I went there for a party but it wasn’t really that great. Sure I met a lot of nice people, but I tend to do that at nearly every hostel I stay at. I was a fan of the foosball table and someone did teach me how to play beer pong while I was there (I had a beer drinking proxy since I don’t drink beer), but the constant indoor smoking ruined it for me. People would smoke in their bar/restaurant, and in the covered courtyard and I would go back to my room stinking like cigarettes all the time- yuck. Also the food at their restaurant wasn’t good and they only had one pot in their kitchen for guests to use (it was the worst kitchen I have ever seen at a hostel). The whole hostel had TERRIBLE internet no matter what part of the hostel you happened to be standing in. My post on hostel etiquette (Ten Tips for Being a Good Hostel Guest) was mostly inspired by this hostel. 3. Dirty: I like some grime. In fact, some of my favorite cities are full of crumbling old buildings (Rome comes to mind) and tiny alleyways- but La Paz isn’t like that! I had to walk a few blocks to get to the main tourist attractions and I hated that walk because there were so many people (and children) begging in the streets, exhaust fumes on the very busy street I had to cross, and a general grey look everywhere I went. 4. 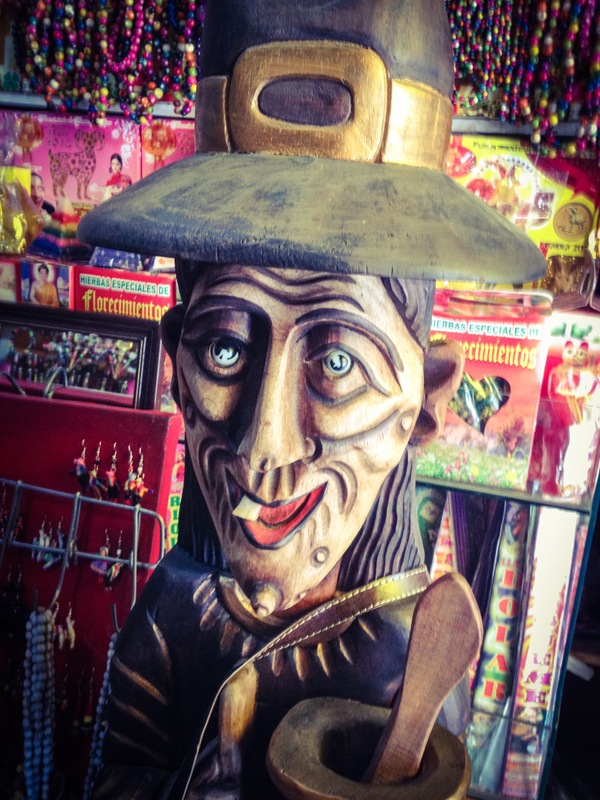 Mercado de las Brujas: I was really looking forward to seeing some local culture here (like I did at San Juan de Chamula in Mexico), but it was just a couple of small storefronts selling mostly incense and candles. There are better occult shops in Portland. 5. Slooooowwww Internet– I love the internet (and this blog) too much for this point to not get its own spot. Just don’t go to La Paz looking for good internet…or maybe not even Bolivia if you really need it because it cut out everywhere I visited in the country. But when it was NYE and I wanted to talk to my family on Skype I couldn’t do it. It was a bad experience for me, at a time when I wasn’t happy already, that just left me with a bad taste in my mouth. As you can see, it was kinda a mixed bag for me. Maybe I would have liked it better if I had stayed at a different hostel (they were all booked at the time I looked because I really wanted to switch as soon as I got there). I could have seen all of the things I wanted to see in two days EASILY so I came away from my experience there feeling like I had wasted a good two days. I did read and write a lot while I was there…but that is not why I travel to new cities! What do you think? Was I too harsh with La Paz? 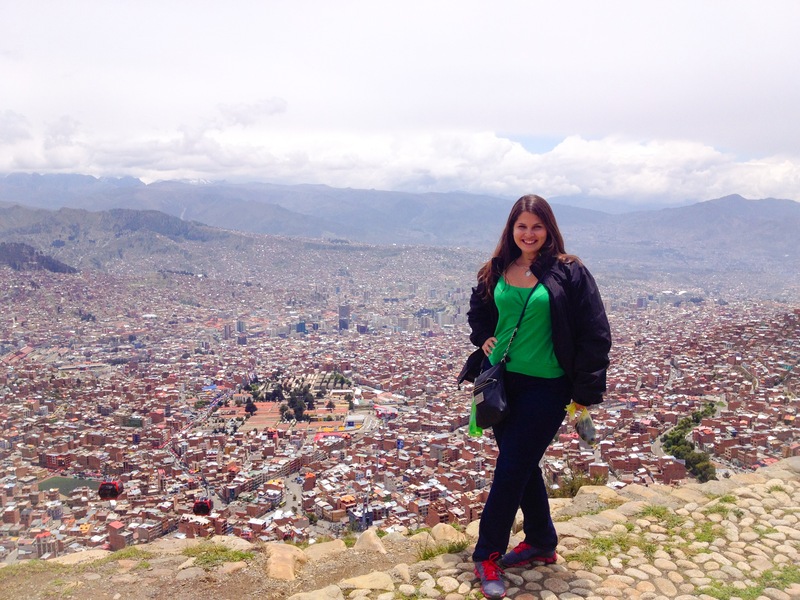 Did you have a good experience in La Paz? Where should I have gone to make my experience better? ← Backpacking the Galapagos: Is it Possible? I hung out with a young Australian couple I met at my hostel and they said that they were enjoying La Paz…so take my words with a grain of salt.